Whether you have family that came to the U.S. from Ireland, or don’t have any Irish in your blood, you can celebrate St. Patrick’s Day here in Memphis. There are various events for all ages, from bar crawls to historical lessons. We’ve gone through all of the festivities throughout Memphis and picked five of our favorites. 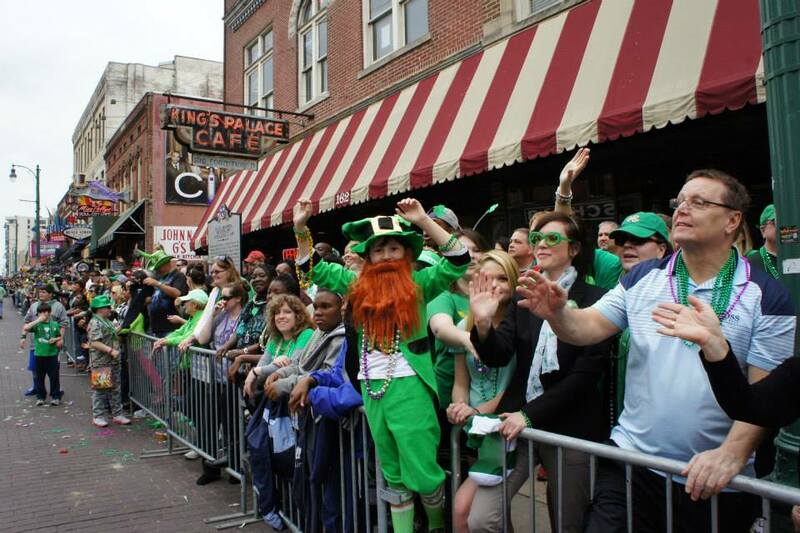 When: Saturday, March 11 at 3 p.m.
Be sure to wear your greenest clothing this Saturday as the St. Patrick’s Day parade marches down Beale Street. Various local bands will perform for parade patrons. There will also be dancers, floats, classic cars, and more! Be sure to get your spot early, as crowds tend to fill in way before the start time. The Celtic Crossing’s festival is perfect for those who are looking for an action packed St. Patrick’s Day weekend. There’s something for all ages on Friday, from face painting for the younger ones, to live entertainment for adults. There will be three different stages throughout the day, with activities starting off on the front patio at 10 a.m. On Saturday night, Walrus will be performing in the party tent, while a DJ will spin in the main room. On Sunday, a special brunch will take place from noon to 3 p.m. 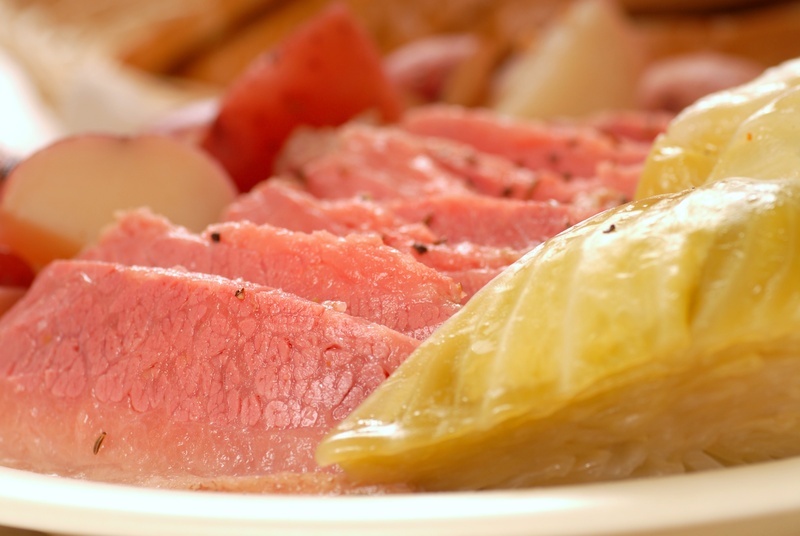 Need to get your fix of corned beef and cabbage or fish and chips every St. Patrick’s Day? 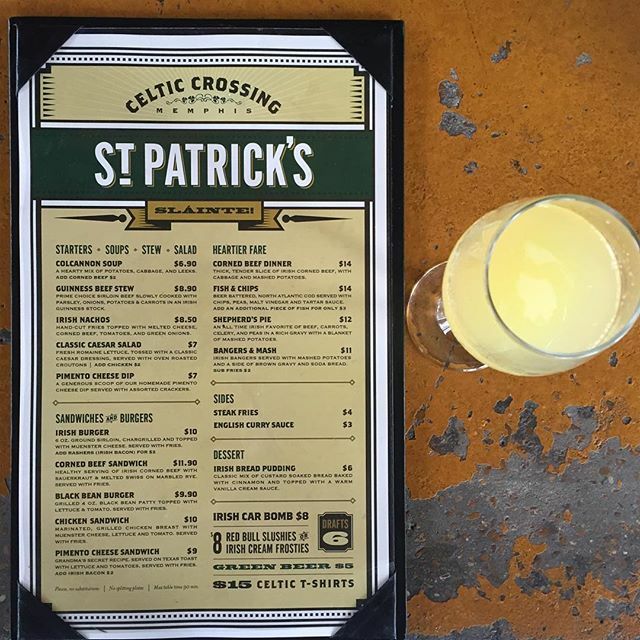 Patrick’s in East Memphis will have special Irish foods on their menu throughout St. Patrick’s Day, along with a St. Patrick’s Day Party Friday night. Even if you have to work, stop by afterwards for a pint of Killian’s and some traditional Irish fare. When: Friday, March 17, 6:30 to 9:30 p.m. The bike ride will begin at Peddler Walker on Walker Avenue and then will head towards High Cotton Brewing on Monroe Avenue in downtown Memphis. Bikers will then head back to Peddler Walker. Note that this is a nighttime bike ride, so lights and helmets are required. When: Saturday, March 18 at 1 p.m.
For those of you who are history buffs, this 45-minute presentation is something you won’t want to miss. 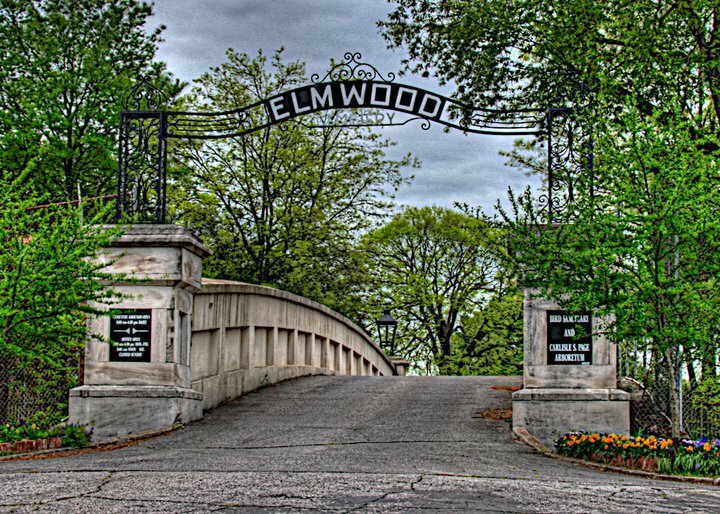 You’ll be able to learn about some of the Irish immigrants who rest at Elmwood Cemetery, and enjoy beer and snacks during the presentation. To register for the event, call (901) 774-3212 or click here.